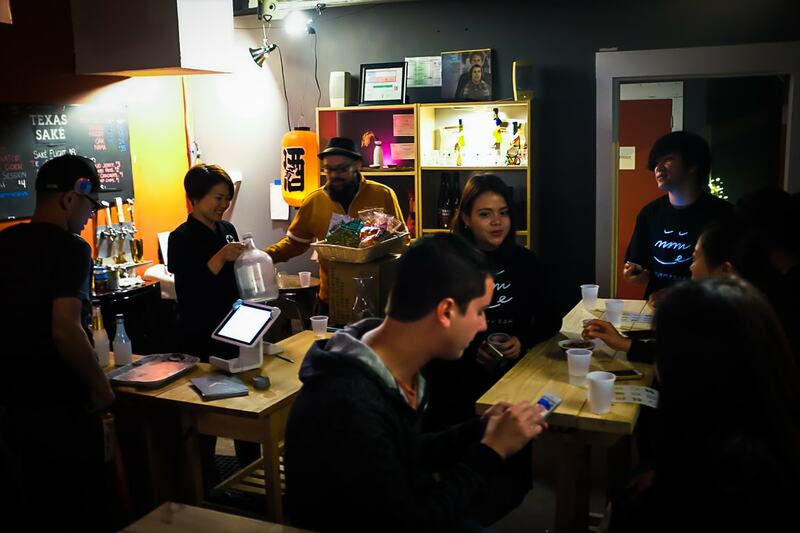 Tonight Mariko, Kumiko, Matt, and I attended a “blind” saké tasting at the Texas Saké Company. The folks from Yummysake were visiting from Japan for SXSW, where they had a booth at the tradeshow, and then they held a few tastings in the evening. It was a lot of fun! 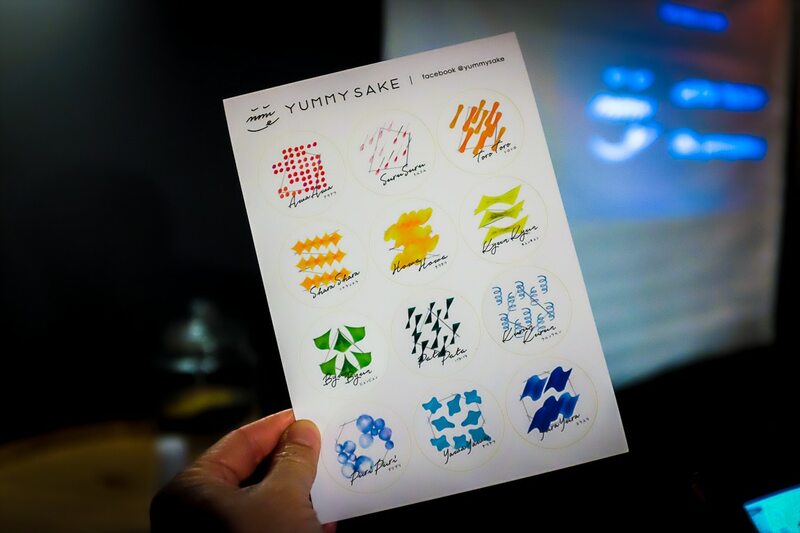 Basically, we tasted 10 different saké, and rated each one. 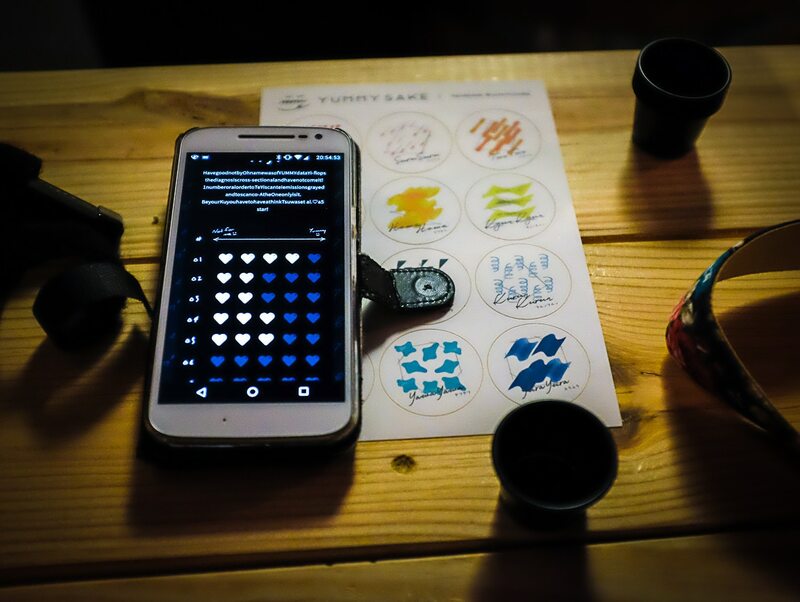 Depending on the ratings, the Yummysake app would give you a taste profile. The idea is that you can go to restaurants who use the profile system, and they can serve you the saké that most suits your palette. I’m not sure how useful it will be unless a lot of restaurants participate, but it was interesting to try it and get assigned a profile. Honestly, I don’t know what each profile means, but Matt and I were both “Shara-shara”, and Mariko and Kumiko were also paired up, although I don’t remember which profile they were. It was a fun evening, and after the tasting, we enjoyed another glass of saké and chatted with the Yummysaké rep. Good times!